Award Winning Author and Certified Life Coach. The award winning title everyone is talking about! 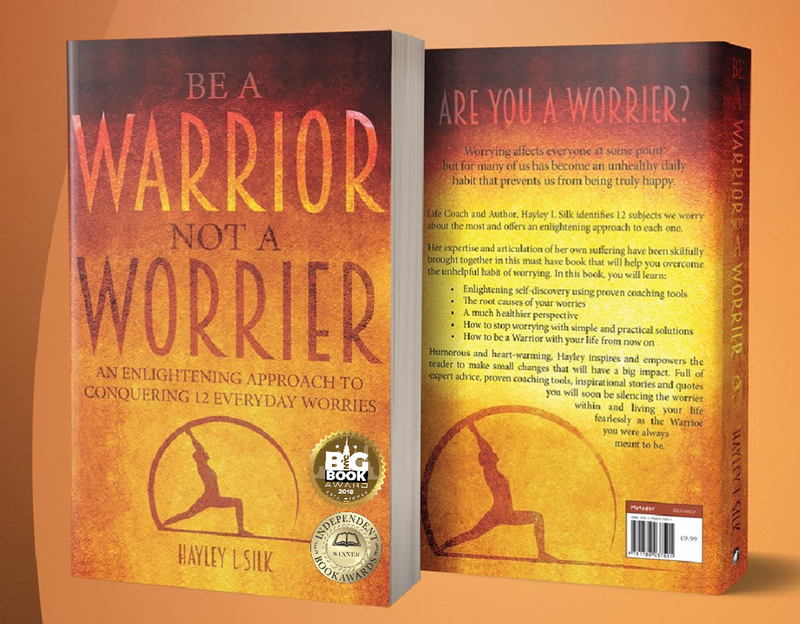 Be a Warrior Not a Worrier was reviewed by the UK’s largest charity Anxiety UK. Here is what the industry experts had to say. Meditation is a habitual process of training your mind to focus and redirect your thoughts. It is proven to reduce anxiety and anxiety related mental health issues such as social anxiety, phobias and obsessive compulsive behaviours. Conquer your anxiety with this powerful meditation as Hayley L Silk guides you, helping you release your worries and ease anxiety. A coaching journey is a wonderful experience of self-discovery and one that requires small actions to get you from where you are now to where you want to be. Nothing diminishes anxiety faster than ACTION and that is why coaching is so successful! Weekly, Fortnightly or Monthly Sessions available plus a variety of Corporate Coaching sessions tailored to your specific requirements. “Inspirational, understanding and most importantly Hayley listens. She takes the time to hear you. I am truly thankful for all the help Hayley has given me. Helping me to be a better version of myself. I never would have thought that in just 12 sessions I would be where I am, feeling how I do. I was in a constant state of anxiety, with looping negative thoughts and fears. I am now filled with balanced thoughts and new found determination, positivity and confidence. I have tried other forms of support previously but Hayley’s proactive approach has really worked for me. My comfort levels have been pushed whilst always feeling supported; a positive, beneficial outcome was always the focus. Hayley has really listened to me and considered my needs on a personal, unique level each week, rather than following a textbook approach. I always looked forward to each session and Hayley made me feel at ease discussing personal matters. Hayley hasn’t just helped me with the issues I was facing at the time but has taught me techniques that I can carry with me for the rest of my life to help me reach my goals and continue to feel balanced and confident. I hoped I would resolve some issues and become calmer; I have achieved this and so much more than I ever imagined. I can’t thank Hayley enough. “I feel such love for Hayley as I know how hard she has worked. She encourages everyone and is honestly an inspiration to anyone who crosses her path. She is in a position to send out “the love” and make it mean something!